Strut your stuff this fall in eye catching shades of blue and green. It appears that Meghan Markle gets credit for reintroducing the world to the magnetism of this color combination. The blue green family is so versatile in fashion. It can accentuate many different color combinations. It goes amazingly well with navy which seems to be the new black this fall. 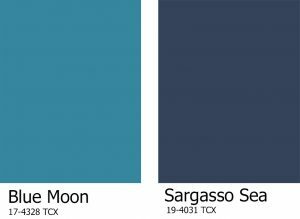 The Blue-Green family has also been recognized as part of the Fall 2018 Pantone choice color combination with Blue Moon and Sargasso Sea paint colors. You can bet that this color combo is a huge hit in the decorating world as well as the fashion world. Here are a few items that you could add to your wardrobe so you too can strut like a peacock this fall. 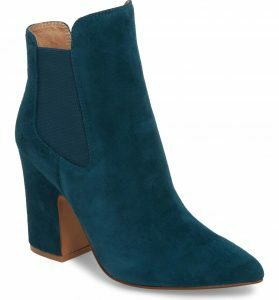 This beautiful suede bootie is sure to turn heads for all of the right reasons. This would look amazing with a dark wash jean or with a pair of black leggings. It has just the right amount of heel to elongate your legs and make you strut your stuff. These spherical drop earrings by Kendra Scott are sure to dress up any outfit. They are a beautiful combination of gold and shell. A statement earring if there ever was one. 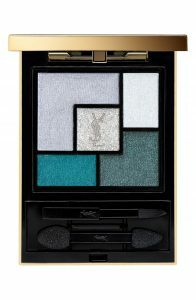 This is a stunning eye palette from YSL. It is a limited edition palette in shades of blue green and silver. A perfect holiday dress in shades of teal and gold! On sale now for $125. 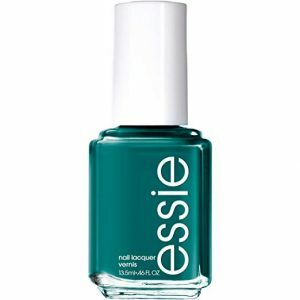 On fingers or toes this teal polish is sure to stand out from the crowd. 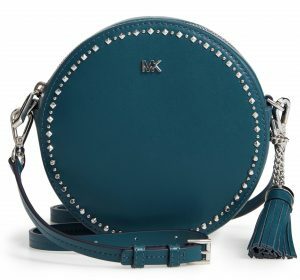 I love this spherical cross body bag from Michael Kors. It is a fun accessory to add to any outfit. 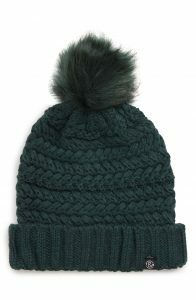 This hat will give you just a pop of color on those grey winter days. This chunky, ribbed sweater from Free People comes in 6 different colors. The standout color being the teal. It would look amazing with black leggings and the teal booties above. I am forever needing a scarf or shawl in restaurants. This is a beautiful lightweight scarf will do the trick. 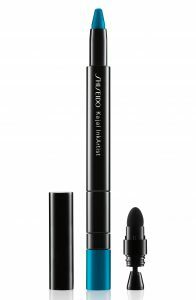 This eye pencil from Shiseido can be used as a shadow or liner. 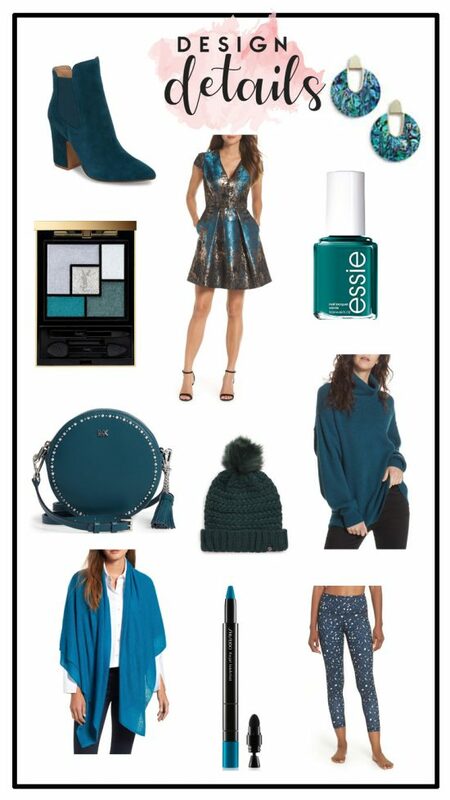 It is a striking shade of teal that would be perfect for a night out. 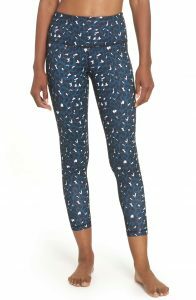 These Zella leggings are on sale for $39. Get them while they last. How do you feel about this color combination? Do you like what you see? 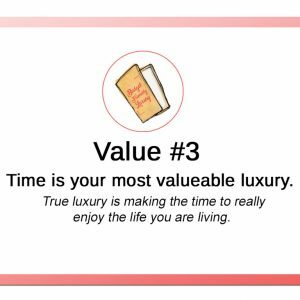 Could you see yourself in one of these items? Let me know what you think! ← Brand New Fall Clothing Line You Need to See!